Quartz gemstones can come in many different colours. 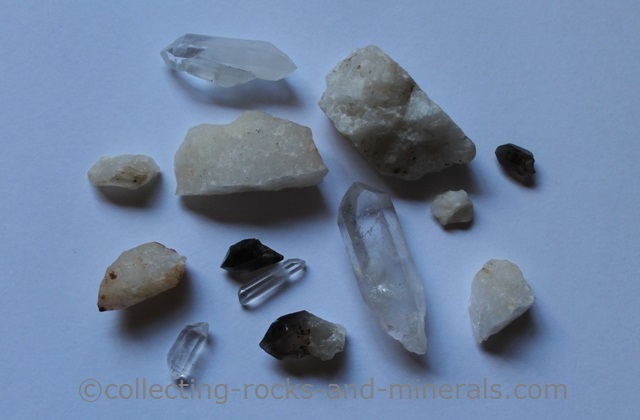 Quartz is the most abundant and widely distributed mineral found at Earth's surface. It is present and plentiful in all parts of the world, is found in all rock types and in all parts of the world occurring as sand grains, as crystals in rocks, and in veins that cut through all rock types, sometimes bearing gold or other precious metals and precious gems. The word "quartz" is derived from the German word quarz. 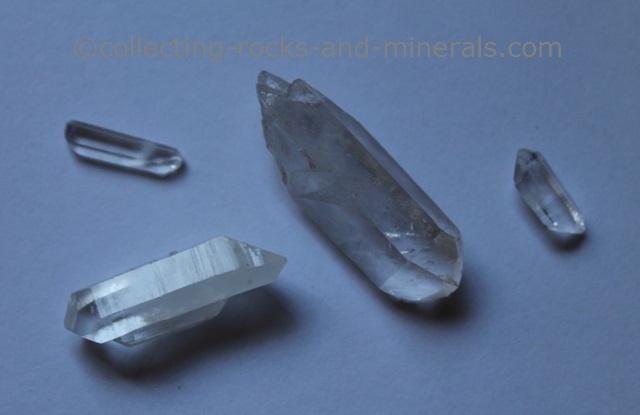 Other sources attribute the word's origin to the Saxon word Querkluftertz, meaning cross-vein ore.
Quartz is the most common material identified as the mystical substance maban in Australian Aboriginal mythology. It is found regularly in cemeteries in Europe in a burial context. The Irish word for quartz is grian cloch which means 'stone of the sun'. The word "crystal" comes from the Greek word κρύσταλλος meaning "ice" as quartz was once thought to be frozen water and is found near glaciers in the Alps, but not on volcanic mountains. Quartz Crystals typically grow in hot watery solutions. The ideal crystal shape is a six-sided prism terminating with six-sided pyramids at each end. 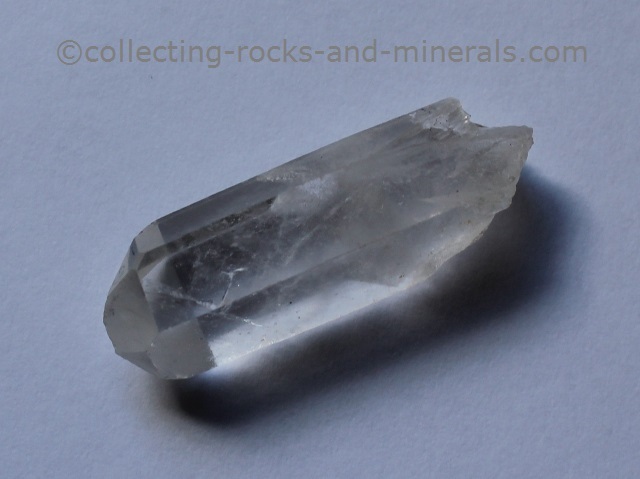 Herkimer “Diamond” Quartz Crystals are harder than regular quartz, are brighter and are doubly terminated, clear crystals, some showing a slightly yellow appearance. 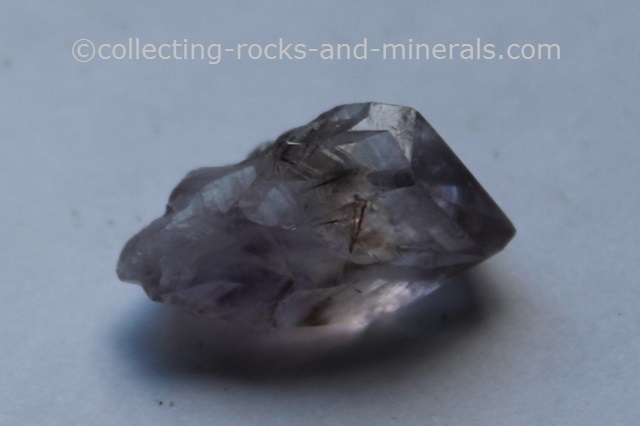 Popular Quartz Gemstones are; Amethyst-palest mauve to deepest purple clear Quartz. 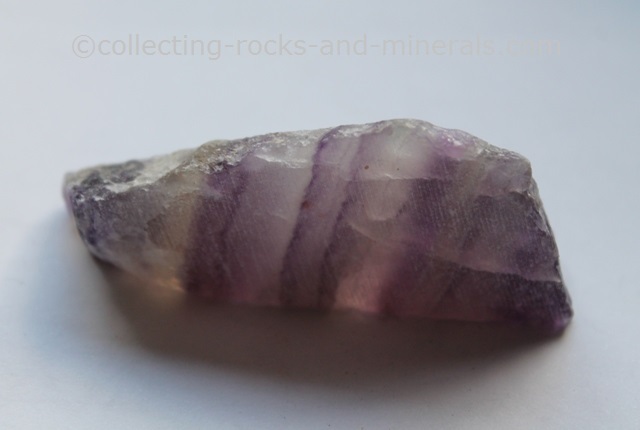 Ametrine-a clear, bi-colour Amethyst and Citrine with zones of purple and yellow. Cairngorm-a deep, rich, yellow-brown to greyish-brown, clear Quartz which took its name from the Scottish mountain range in which it was found. Citrine-yellow to golden clear Quartz. Morion-brown, clear Quartz. Pink Quartz is surely one of the most beautiful gemstones. 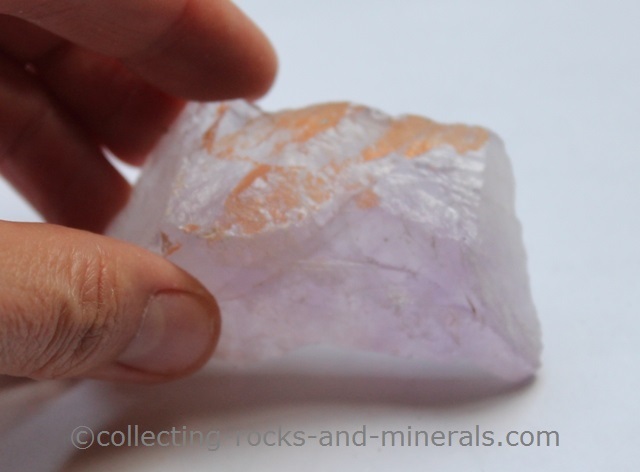 It is clear, coloured pink with sunset overtones and has a mysterious, almost translucent glow. Rose Quartz-Powder-pink to soft-pink. Generally milky in appearance, Rose Quartz can have included rutile crystals which show as a six-ray star. Gem quality Rose Quartz is officially named Pink Quartz. Rutilated Quartz-Clear Quartz embedded with rutile crystals. Smoky Quartz-dark to mid-brown almost clear Quartz. Tourmalinated Quartz-clear Quartz which formed around needles of Black Tourmaline.